Fragrances and flavours are important materials with characteristic odors and/or tastes, which are widely added into food, beverages, alcoholic drinks, cigarettes, detergents, cosmetics, toothpastes, leather, feed, pharmaceuticals, textiles and plastics, etc. The characteristics of F&F industry are: various kinds of products but with rather small production, low usage level but with good effect, and produced at one place but used in a lot of places. And as it is known, F&F is a mixture of advanced technology and profound art. Currently, there are more than 1000 enterprises for manufacturing and operating fragrances and flavours in China. In 2015, the total output of F&F Industry is about 430,000 tons, the turnover about RMB 33.9 billion, the export volume about 100,000 tons and the export sales value about US$ 4.2 billion. In the national standard, Industrial Classification for National Economic Activities (GB/T 4754-2011), the code of Fragrance and Flavour Manufacturing is C 2684. In China, the manufacturing of flavour products performs license management system, which promotes the construction of industrial regulations and standards in a great deal. 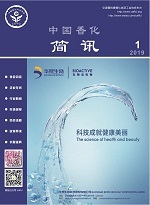 Cosmetic products are used on human bodies by scrubbing, spraying and other methods, in order to clean and protect skin, modify odors, beautify human life, etc. At present, more than 3800 enterprises have obtained production licenses in China. In 2015, the turnover is about RMB 260 billion and the export sales value about US$ 2.8 billion. On current China market, there are more than 25,000 kinds of cosmetic products. So to speak, it basically meets different consumers' need. In China, the manufacturing of cosmetic products performs license management system, which promotes the construction of industrial regulations and standards in a great deal.